Note: this section is kept for historical reason, or to get some inspiration for the next upgrade (like from Stretch to Buster, etc.). Raspbian has been released for Jessie and now Stretch already. This section was when Raspbian was only available for Wheezie and gave instructions how to perform already the upgrade to Jessie before Raspbian Jessie was officially released. Upgrading Raspbian from Wheezy to Jessie is an easy task. But because things can always go wrong at unexpected times (e.g. power loss, bad SD card, cosmic ray, etc. ), it is always advisable to take some precautions before undertaking such an upgrade. At a minimum, one should do a backup, but because they are many aspects to this, check the Debian extensive documentation on the preparation for an upgrade. I actually recommend reading this complete document before proceeding. If you have been modifying in-depth the inner of Raspbian, you should make sure everything is clean, take a special look at chapter 4.2 from the Debian Guide. OK, now if you are born under a good star and don’t mind breaking your system, here are the quick and easy steps for upgrading Raspbian to Jessie. If you follow suite, it is at your own responsibility. The following sequence worked twice for me, your mileage may vary. 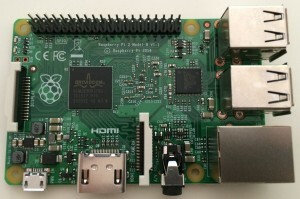 (optional) Step: grad he latest Linux kernel for your Raspberry Pi. But there is a step 0 first! I just explained before how to install Raspbian without a screen, so it means that you will still be headless when upgrading to Jessie. Being headless means you are going to do the upgrade via ssh, so if you lose the network you could break the update. So to avoid this you need to use a small tool, I recommend tmux, but if you are more comfortable with screen or byobu. So we will install and execute tmux, and then run all commands within tmux (for a good introduction to tmux check Arch Linux wiki). You should check that under /etc/apt/sources.list.d/ there aren’t any other .list files which would need to be changed as well. You could use the above command, but no all third-party lists have upgraded to Jessie (e.g. Collabora still does not have a repository for Jessie). So check each of your added third-party list if they provide a new URL for Jessie or not. Now the next commands shall be executed sequentially and do not do the next command if one fails!! If the last command was successful and installed a new Linux kernel (also called firmware by the tool), then please reboot again. During the installations, it might be possible that you are prompt to solve a conflict for modified configuration files. You can either keep your file as they are, or use the package maintainer versions. For files you haven’t modified, it can be a good advice to choose the package maintainer version, with one notable exception /etc/dphys-swapfile you should keep your local changes, it is the swap configurations and it was carefully tuned my Raspbian to fit better with the Raspberry Pi hardware. You should after all this effort have a nice Raspberry Pi running Debian Jessie with the latest Linux kernel.